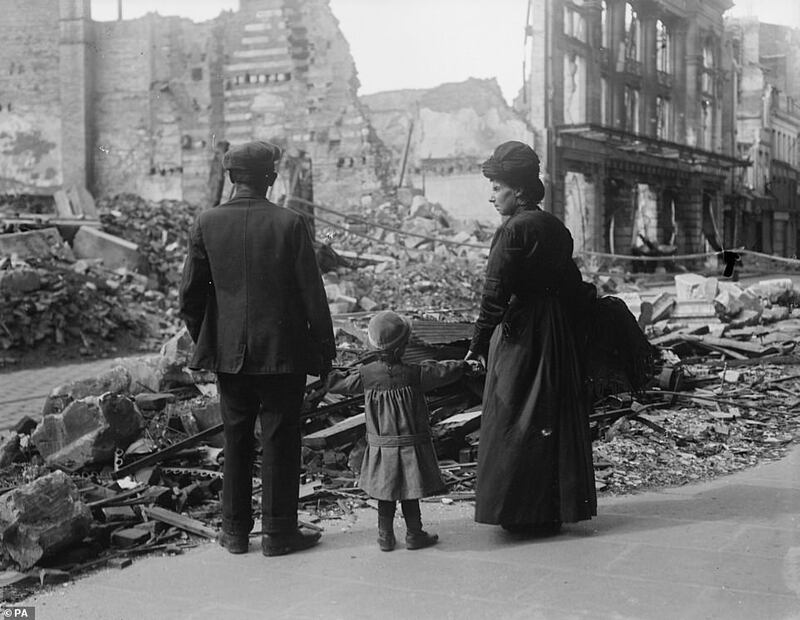 Rarely seen photographs showing the aftermath of the First World War are going on display as part of an exhibition on the fallout of the conflict and the wave of hope that swept Europe. The stunning collection of 130 images were taken in the months following the signing of the Armistice between Germany and the Allies on November 11 1918. Four years of conflict had claimed around 17 million lives with 10million military personnel dying on the battlefield in some of the bloodiest battles the world had ever seen. Soldiers' lives were never the same again. 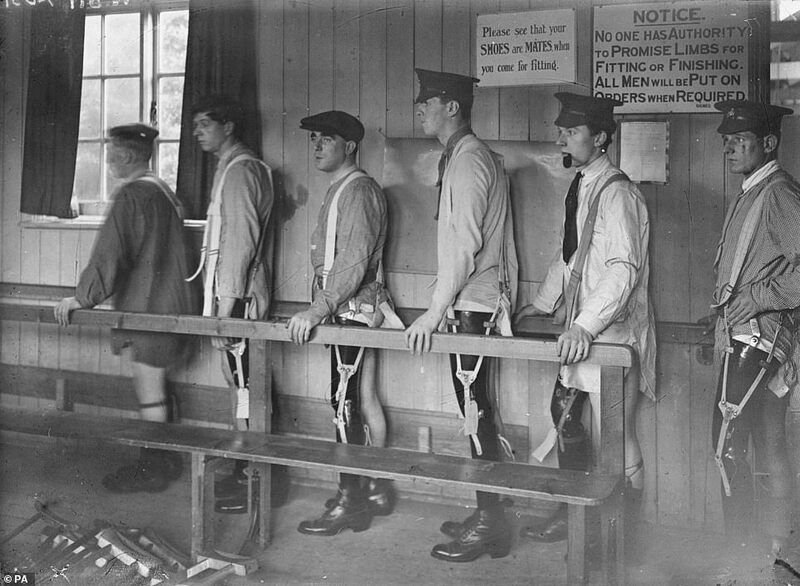 Many still suffered from shell shock or were disabled. It was difficult for them to forget about the horrors of the war. 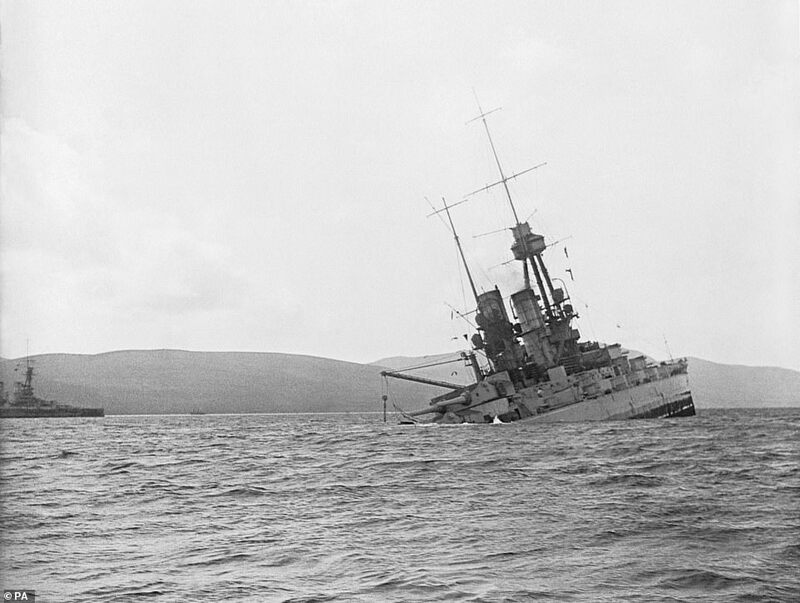 Four empires collapsed, the Ottoman, Austro-Hungarian, German, and Russian, many countries including Britain were left in financial ruin, and the Treaty of Versailles placed severe penalties on Germany, who were forced to accept the blame for starting the conflict, and had to pay 132 billion gold marks to repair the damage they had done. 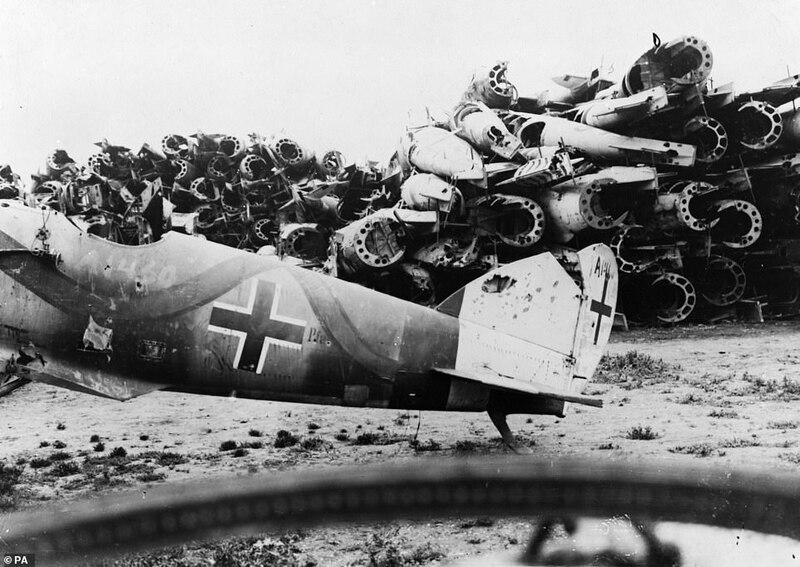 It was the decisions made in the aftermath of the First World War that led to the rise of Adolf Hitler and the outbreak of World War Two some 20 years later. 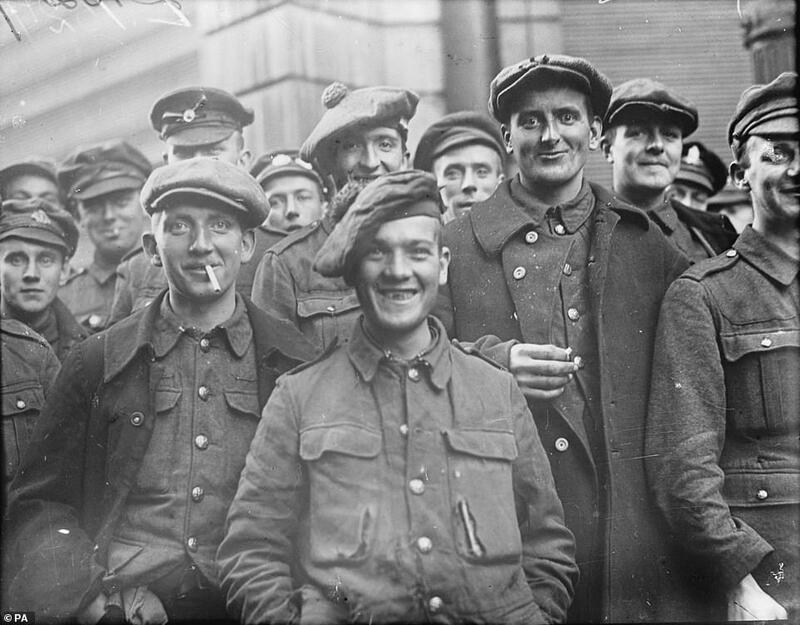 The exhibition attempts to paint a picture of what life was like at the end of the war, showing Armistice Day celebrations in Birmingham, refugees returning to Amiens, France, and the treatments given to the many millions of injured servicemen that spent years fighting in the trenches. The incredible images will feature alongside documents and other objects from the Imperial War Museum's archives for Renewal: Life after the First World War in Photographs. 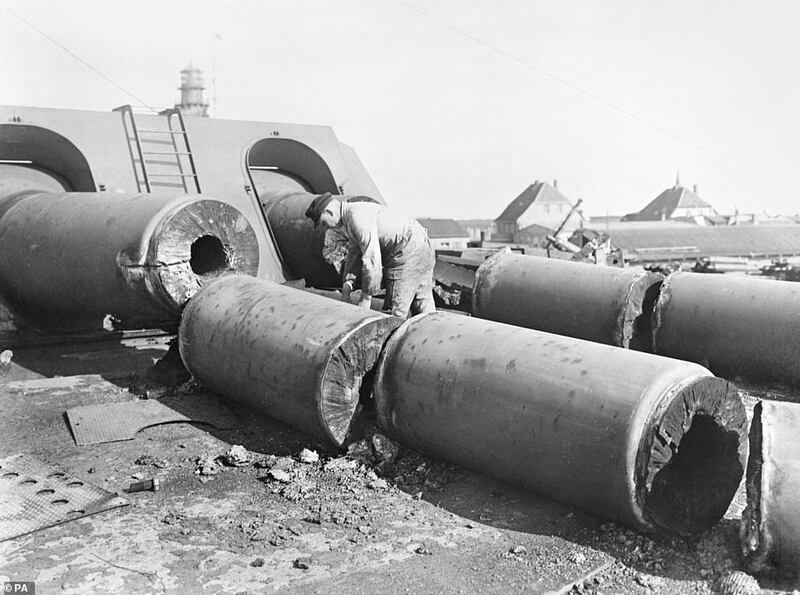 Also on display will be images of 32,000 destroyed German rifles, a shearing machine cutting sword blades in half and the German battleship SMS Bayern sinking at Scapa Flow in June 1919. 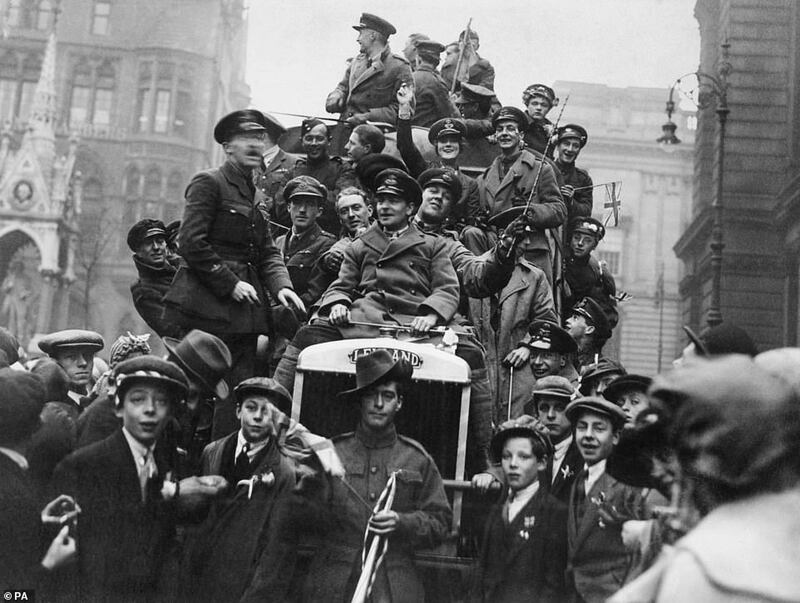 The exhibition at the Imperial War Museum in London charts the initial optimism after the end of the First World War. But it also reveals the extent of destruction and dislocation it left behind, and how the promise of rebuilding the world did not always deliver. 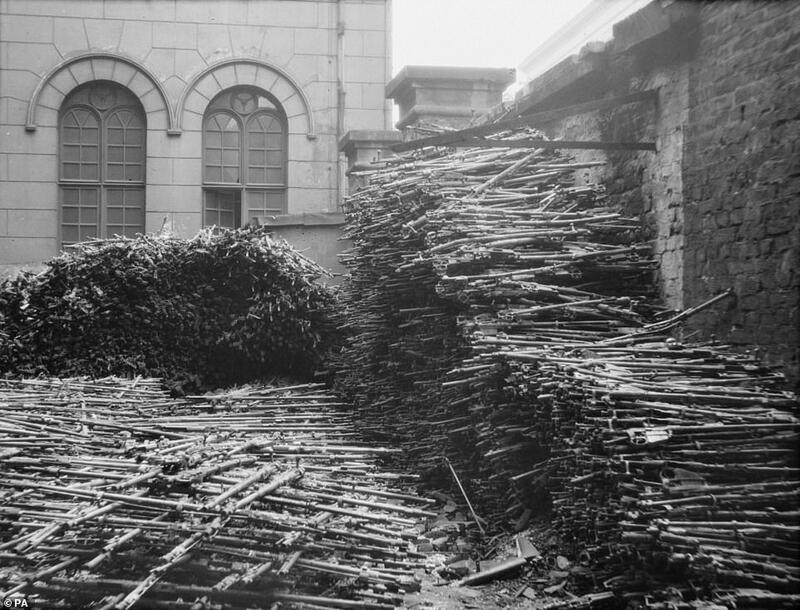 While the French city of Ypres which was devastated by the fighting was rebuilt along its medieval lines, in the UK social measures such as 'homes fit for heroes' ran out of money. The exhibition also shows the ingenuity employed in helping servicemen injured in the conflict, through plastic surgery and prosthetic limbs. And it highlights how companies such as aeroplane manufacturers switched tack to survive, in one case initially by bolting wicker chairs inside bombers to develop civil aviation as a peacetime alternative to warplanes. Alan Wakefield, head of First World War and early 20th century conflict at IWM, said: 'Drawing primarily on IWM's rich and varied photography archive, this new exhibition presents images from both official and personal collections, giving insight into the innovation, opportunism and resourcefulness that shaped the rebuilding and regeneration of the post-war world. 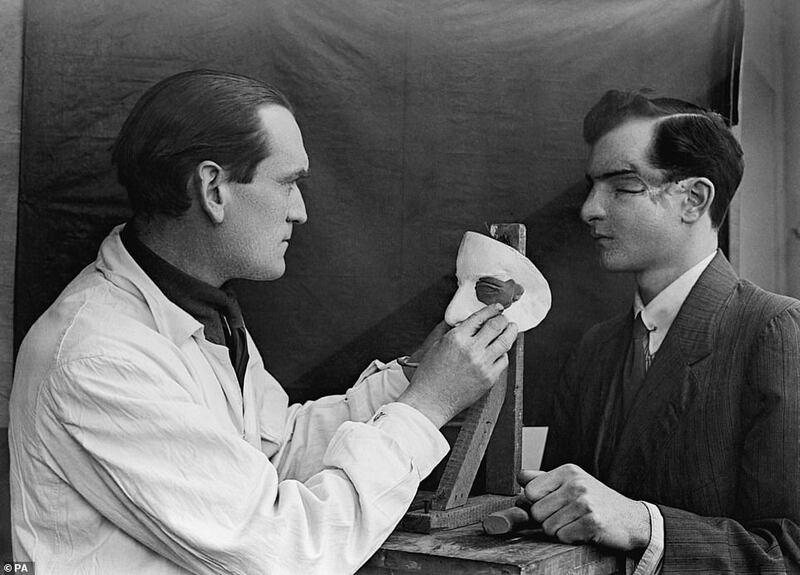 Renewal: Life after the First World War in Photographs is a free exhibition at IWM London, as part of Making a New World, a season of exhibitions taking place across IWM London and IWM North until the end of March 2019 looking at how the First World War shaped today's society. 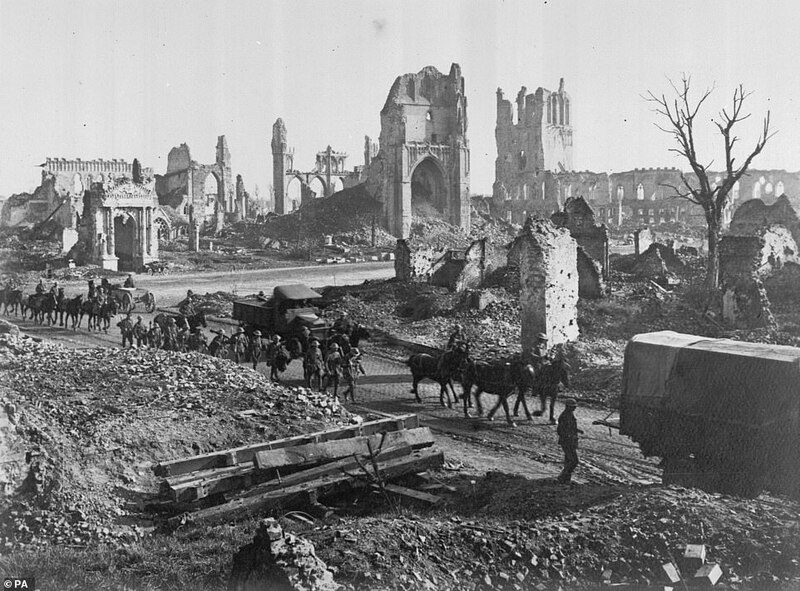 In this photo horses and men of 1st Anzac Corps make their way past the ruins of the Cathedral and Cloth Hall in Ypres following the end of the First World War. 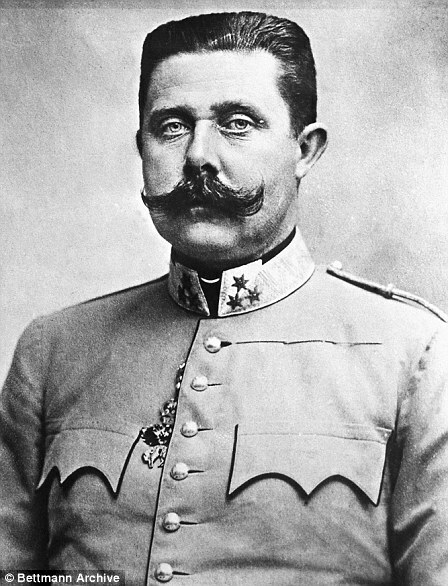 In the event, which is widely accepted to have sparked the outbreak of World War One, Archduke Franz Ferdinand - the nephew of Emperor Franz Joseph and heir to the Austro-Hungarian Empire - was shot dead. He was assassinated in Sarajevo, the capital of Bosnia and Herzegovina, along with his Serbian wife, Sophie, on June 28, 1914. Eventually killed by 19-year-old Gavrilo Princip, the couple had earlier that day been attacked by another man who threw a grenade at their car. Archduke Ferdinand was shot in the neck, while his wife was hit in the abdomen. The assassination is believed to have started a domino effect which led to the break out of World War One a month later. Princip and others wanted Bosnia to become part of Serbia. 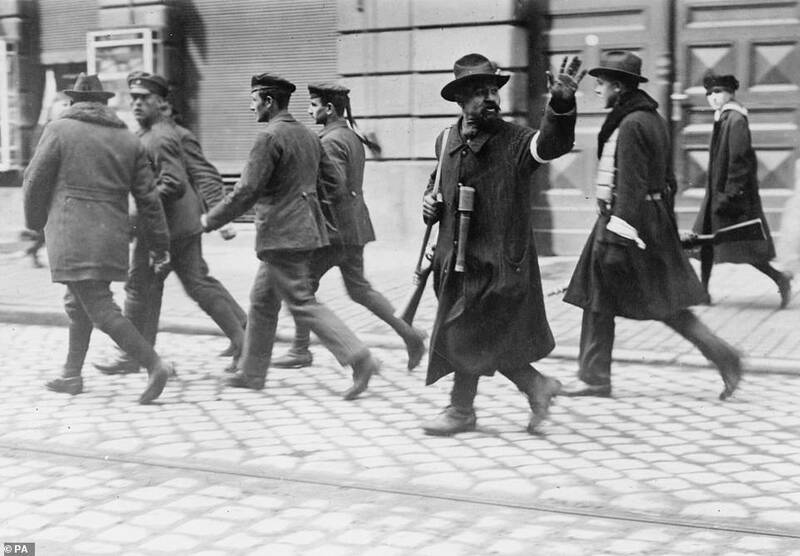 Austria-Hungary, like many in countries around the world, blamed the Serbian government for the attack and hoped to use the incident as justification for settling the question of Slav nationalism once and for all. As Russia supported Serbia, an Austro-Hungarian declaration of war was delayed until its leaders received assurances from German leader Kaiser Wilhelm that Germany would support their cause in the event of a Russian intervention–which would likely involve Russia’s ally, France, and possibly Britain as well. On July 28, Austria-Hungary declared war on Serbia, and the tenuous peace between Europe’s great powers collapsed. Within a week, Russia, Belgium, France, Great Britain and Serbia had lined up against Austria-Hungary and Germany, and World War One had begun. Artillery units of Austria-Hungary began to rain down shells on Belgrade, the Serbian capital - the very first shots of World War One. That attack was to start a chain reaction that, within weeks, embroiled all of the world's great powers into a global war which mobilised more than 70 million military personnel. 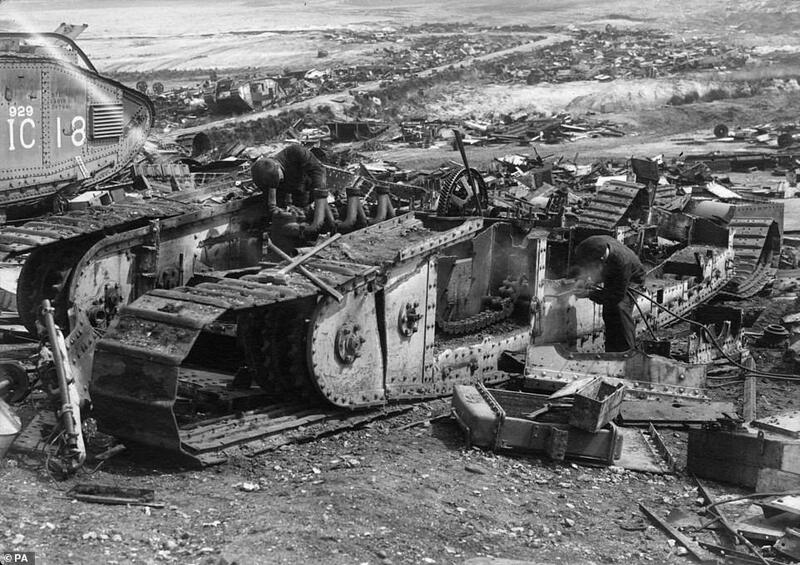 The Great War - as it was soon to be known - was the first military conflict to be fought on an industrial scale. But the technological advances that led to increases in the lethality of weapons were not matched by changes in strategy, with both sides resorting to practically suicidal human wave attacks. Although much of the warfare took place in Europe, battle was soon joined across the planet via the colonies of the European imperial powers. 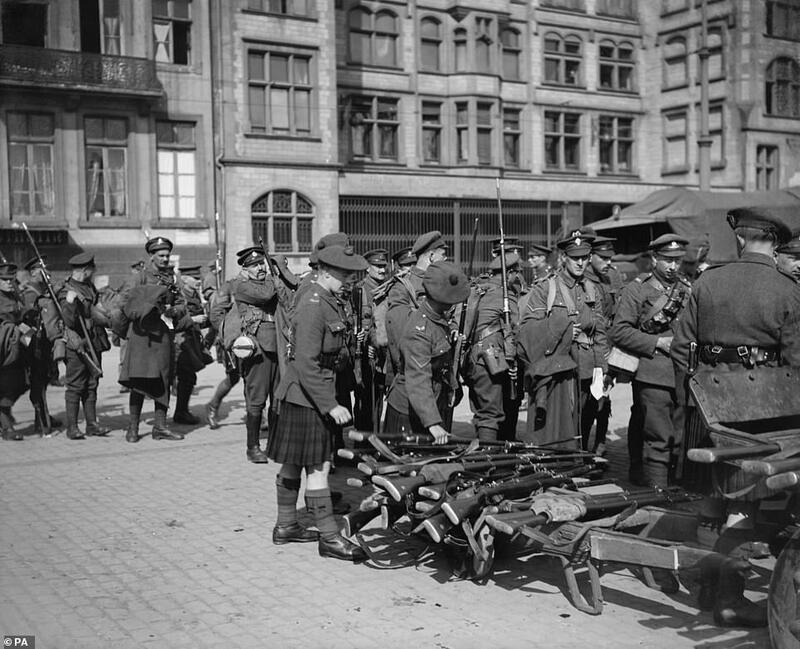 By 1918, the powers of Central Europe were exhausted by fighting. A final last-ditch offensive along the Western Front by Germany was successfully repelled and, as U.S. forces began to enter the trenches, the Allies staged a series of successful advances, forcing the enemy to surrender on November 11.